This Red Roof in Austinburg, Ohio keeps you close to the events happening in downtown Austinburg, downtown Geneva and Geneva-on-the-Lake. Tour the nearby campus of Kent State University at Ashtabula and cheer on your favorite athletes competing at SPIRE Institute. Golfers will enjoy playing along the rolling greens at Maple Ridge Golf Course, Hemlock Springs Golf Club and Chapel Hills Golf Course. Spend your day outdoors at Geneva State Park or along the Lake Erie shoreline at Walnut Beach Park. Attend an event happening at the Ashtabula County Fairgrounds, then end your night with an interactive dinner theater experience at Noble Art Entertainment. We are also near the medical facilities at University Hospitals Geneva Medical Center as well as a selection of nearby dining options, many just a short drive away. After a day of nearby exploration, unwind at our family-friendly hotel with our fantastic amenities. Sign on to our free Wi-Fi and watch your favorite shows with our free expanded cable package. All of our rooms feature a mini-refrigerator, microwave, in-room coffee, hair dryer and iron/ironing board. You will find plenty of outlets around your room for charging all of your smart devices. Start your day with our complimentary breakfast (available daily 6AM 9AM) featuring waffles, boiled eggs, fruit, bread and juice. Stop by our lobby for a complimentary cup of hot coffee or tea, then swing by our snack center to purchase yourself a treat. Guests also have access to our business center and guest coin laundry facility. 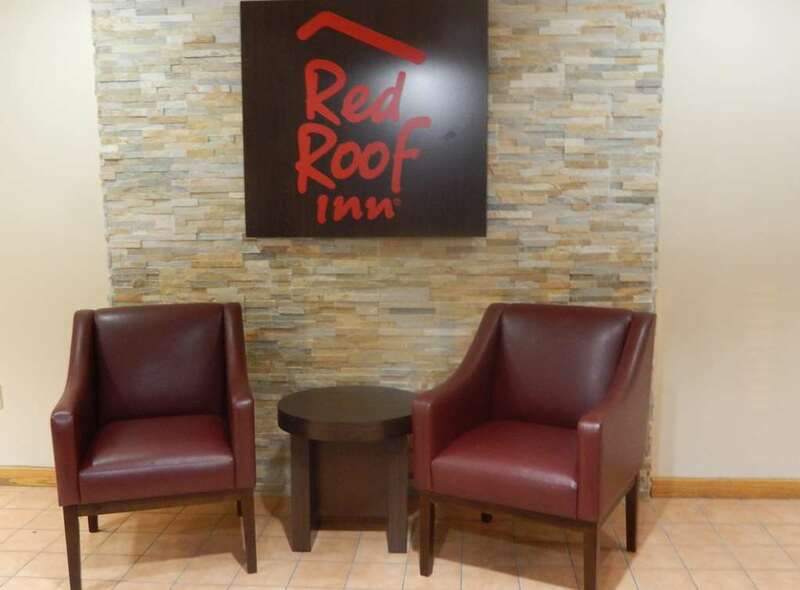 One well-behaved pet per room is welcome at Red Roof Inn Ashtabula - Austinburg. This Red Roof in Austinburg, Ohio keeps you close to the events happening in downtown Austinburg, downtown Geneva and Geneva-on-the-Lake. Tour the nearby campus of Kent State University at Ashtabula and cheer on your favorite athletes competing at SPIRE Institute. Golfers will enjoy playing along the rolling greens at Maple Ridge Golf Course, Hemlock Springs Golf Club and Chapel Hills Golf Course. Spend your day outdoors at Geneva State Park or along the Lake Erie shoreline at Walnut Beach Park. Attend an event happening at the Ashtabula County Fairgrounds, then end your night with an interactive dinner theater experience at Noble Art Entertainment. We are also near the medical facilities at University Hospitals Geneva Medical Center as well as a selection of nearby dining options, many just a short drive away.